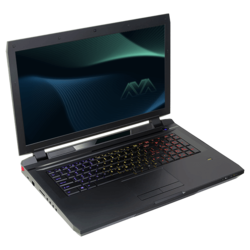 AVADirect is proud to offer the brand new NVIDIA® GeForce® GTX™ 980M and GTX™ 970M GPUs that represent another step in the quest to bring mobile platforms in line with desktop performance. Coming in as an option in our laptops, these bleeding edge gaming GPUs are engineered to improve power and heat efficiency. Both GTX 980M and GTX 970M GPUs support key NVIDIA technologies that seamlessly maximize the consumer’s notebook performance and experience such as NVIDIA BatteryBoost, NVIDIA Optimus, and GPU Boost 2.0 for notebooks. These GPUs offer killer gaming features enabled by GeForce Experience such as ShadowPlay, GameStream, game setting optimizations and keeping your NVIDIA GeForce drivers up to date.